The 'Aerodyne' body shape - as exemplified by the Bristol 401 - was the work of Italian design house Touring. As its name suggests, aerodynamics were the name of the Aerodyne game. The 401's fluid lines - and 'teardrop' tail - moved it through air with the minimum of resistance. Indeed - years after its production run ended - there were still few cars that could match the 401's aerodynamic package. Aptly, the car was developed at an airport - along the two-mile stretch of the Filton runway - in Bristol, England. Tests showed that it was travelling at a tad shy of 100mph. It was powered by a two-litre, 85bhp engine. Pretty small beer, given that the 401 was a four-seater saloon car - carrying plenty of interior trim. Clearly, aerodynamics were playing a pivotal part in that 100mph top speed stat. Saying that, Bristol had 'borrowed' the engine from BMW - as part of the First World War reparations. So, no doubt, Teutonic efficiency helped. Low wind noise - and 25mpg fuel economy - were welcome by-products of the 401's 'slipperiness'. The same kind of rarefied design work found its way into other areas of the 401, too. The body panels, for example, were graded for thickness - according to the job that they did. So, those that made up the wings were more meaty - thus, giving mechanics something to lean against. Now, that is functional design! The 4-speed gearbox was a slick piece of precision engineering. The 401's steering-wheel was on a suitably aeronautical theme. With its 'banana' spoke, it mimicked that which was found in Bristol aircraft, at the time. The Bristol 401, then, was the sort of machine which makes people - born years after the 401 expired - seek to become design students. Hopefully, of the automotive kind! 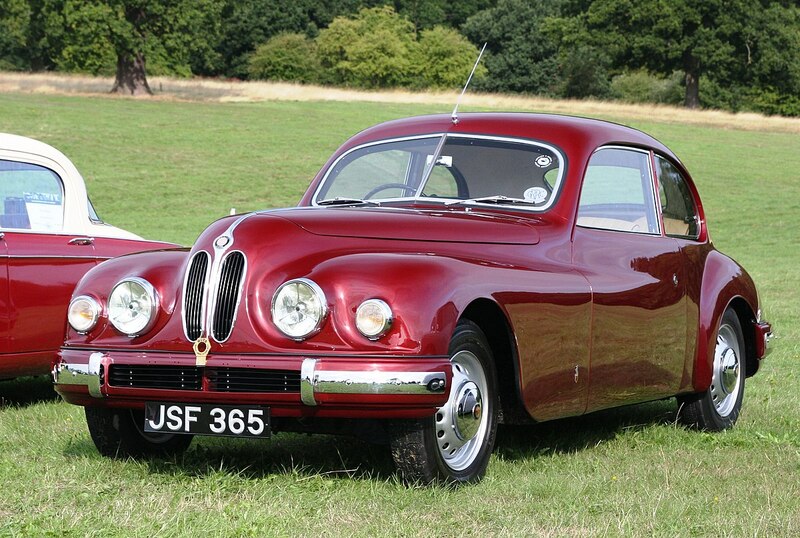 If you had used the phrase 'built-in obsolescence' to those who styled and manufactured the Bristol 401, they would not have had the first idea what you were talking about. Not because they were stupid ... but because it simply would never have occurred to them to think in that way!